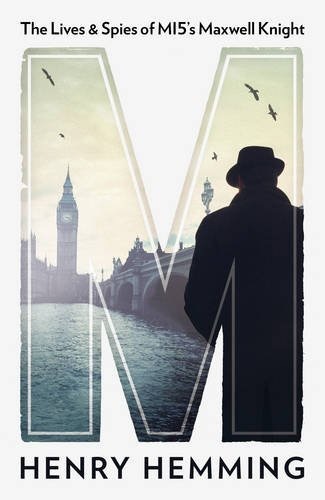 UK-based Poldark and Victoria producer Mammoth Screen has acquired rights to Henry Hemming’s upcoming non-fiction book, M: Maxwell Knight, M15’s Greatest Spymaster. Returning to the world of espionage, Bridge Of Spies' Matt Charman is attached as lead writer to adapt the real-life story of one of the inspirations for the spy chief in Ian Fleming’s James Bond novels. Mammoth is eyeing a multi-part drama series. Mammoth Screen MD Damien Timmer pre-emptively nabbed the rights in a deal with Gemma Hirst of Gemma Hirst Associates on behalf of Jonathan Conway of Jonathan Conway Literary Agency. Knight began spying for the British government in the 1920s and ultimately became MI5’s main agent runner. He is credited with having done more than any other spymaster to break up British fascism during WWII. A jazz obsessive and naturalist, his ability to transform almost anyone into a fearless secret agent set him apart. He was also the first in MI5 to grasp the potential of training female agents; the book tells the stories of seven men and women and the double lives they led under Knight. He was known to his charges and colleagues as ‘M,’ and along with Rear Admiral John Godfrey, and possibly others, later became a model for Fleming’s similarly-named Bond handler. Charman received an Oscar nomination for Steven Spielberg’s Bridge Of Spies and recently adapted Strange New Things for Amazon Studios and director Kevin Macdonald. He previously teamed with Mammoth for ITV detective thriller Black Work. Hemming is the author of five non-fiction books, including 2014’s New York Times bestseller Churchill’s Iceman(aka The Ingenious Mr Pyke). M: Maxwell Knightwill be published by Preface in the UK on May 4 and by PublicAffairs in the U.S. on May 9 (under the title Agent M: The Lives And Spies Of MI5’s Maxwell Knight).